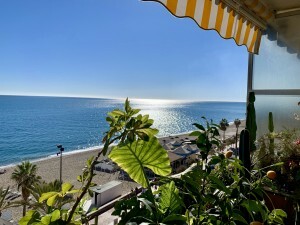 Beautiful 3 bedroom apartment for sale, in the picturesque town of Fines, in the province of Almeria, which offers all the services necessary for daily life. Upon entering the house, opening the door we have an entrence hall way, a living room, with a nice terrece with balcony. The kitchen is fully equipped with appliances and utility room. There are 3 double bedrooms, one of which is currently as a double room, and a large family bathroom. The house also has a storage room, which could be a second bathroom. It is located in an excellent area, in the village where you can find everything you need for your daily life, such as: shops, bars, banks, pharmacy, health center, schools, nursery, municipal swimming pool, and a large municipal pavilion. In the town of Fines, you will find one of the largest weekly markets in the Almanzora Valley, which is every Sunday. The town, is typical Spanish, with its old streets, and a beautiful greenway with marble monuments, where you can walk for hours and enjoy the marvelous views. If you are looking for a bargain, this is your chance! For more information and visits to this charming property, contact us now!